Paris: May, 1969. Scents of spring blossom, coffee and high-octane petrol. Irish diplomat Marty Ransom has been summoned to meet Charles J. Haughey, the Irish Minister for Finance what's decided between them will change the course of Irish history. The Minister wants a go-between with the new IRA faction in the North: he knows a key player is Marty's cousin Ignatius. He has no idea Marty is reporting to MI5 in Dublin. As the deadly endgame draws near, Marty must choose between the past and all he holds dear. 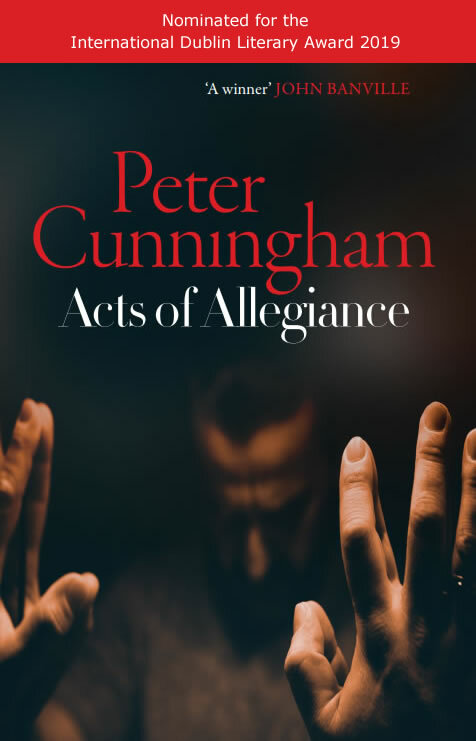 "Acts of Allegiance is a rare find that manages to combine literary lyricism with a satisfyingly propulsive, airtight plot. [A] cracking tale of espionage, state secrets and betrayal… [t]his book is an intriguing excavation of how the personal and political can tragically collide. "He calls it the explosion. Not the bomb, or the outrage. The explosion. He always describes it in the same way: an ear-sucking frenzy that bursts from shops and houses and lacerates the air. A towering force in which bicycles and books are bizarrely suspended. He recounts how he is rammed face down to the road, how the earth tilts sharply, like the deck of a listing ship, so that he feels he is slipping off, and grabs at the egg- smeared cobbles to save himself. He describes how his ears whine at high pitch, and how, when he regains his feet, choking, he can hear distant geese in fright, and only gradually realises they are house alarms. His account of how he stumbles through the slabs of dust, blood in his mouth, never wanting to arrive, reciting old prayers, begging for mercy, is always the same."